At Simply Bathrooms and Bedrooms we realise how important the bedroom and the bathroom is to everyone and we are here to offer help and advice on the design. Whatever your style preference, our designers will help you create the perfect bedroom or bathroom using products of your choice from our different product ranges. We have been installing bathrooms and bedrooms for the last 20 years and we are experts in our field. We are an approved retailer for Grohe Bathroom products. 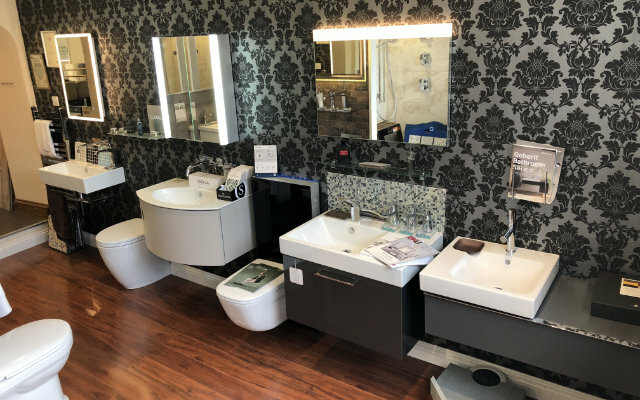 We also use bathroom furniture from Imperial Bathrooms, taps from HansGrohe, Crosswater and Bristan, showers from HansGrohe, Mira and Bristan and shower enclosures from Kudos and Aqata. For our bedrooms we supply and install Colonial Bedrooms. We try and cater for all tastes and if you have any questions about any of our products then please do not hesitate to ask. Our bathroom design consultant will visit you at home or on site to measure spaces and discuss your requirements. We cater for all tastes, so whether you require a classical, modern or minimalist bathroom, we will create the bathroom you have always wished for within your allocated budget.